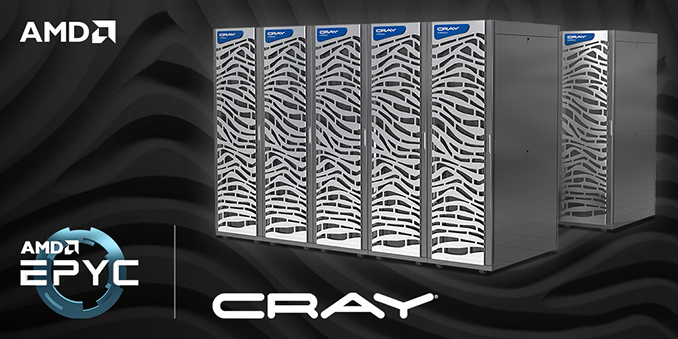 Cray this week announced plans to offer AMD’s EPYC-based CS500 cluster supercomputers later this year. The Cray CS500 clusters will be based on ultra-dense 2-way servers each featuring up to 64 cores, various storage options, and high-speed network connectivity. In addition, Cray will offer 2U 2-way AMD EPYC-powered systems supporting up to 4 TB of memory. 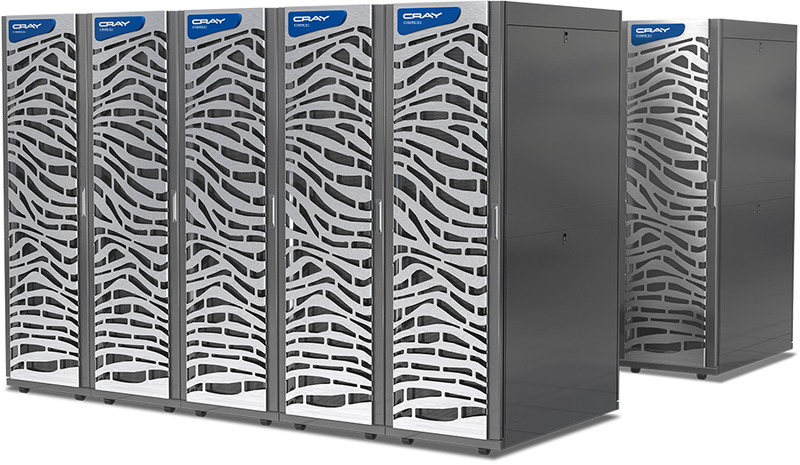 The Cray CS-series supercomputers are built using ultra-dense dual-socket nodes packed into 2U chassis. The CS-series can scale up to 11,000 nodes to provide the right performance and memory capacity for target applications. The AMD-based CS500 systems come with Cray’s software programming environment and libraries that can take advantage of the EPYC processors and their features to maximize performance. An optimized programming environment is a big deal because AMD’s server CPUs have historically suffered from the lack of optimized software. The Cray CS500 nodes based on AMD EPYC 7000-series processors are dual-socket machines supporting two PCIe 3.0 Gen 3 x16 slots, eight DDR4 memory channels/slots per socket, and a choice of SSD/HDD storage solutions. Four of such machines can fit into a 2U chassis which is then placed into a cabinet. Two aforementioned PCIe slots per machine can be used to plug in two 100 GbE network cards and provide up to 200 Gb/s network connectivity. For workloads that demand a huge amount of memory, Cray will offer dual-socket 2U CS500 nodes powered by two AMD EPYC 7000 CPUs and featuring 16 DDR4 DIMM slots per socket, thus supporting up to 4 TB of memory per box. Cray plans to make its AMD EPYC-based CS500 supercomputers available in summer 2018. Prices will depend on actual configurations, which will be disclosed when the systems become available later this year. I'm confused on the RAM. A 2U chassis holds 4 motherboards. Each motherboard holds 1 CPU socket and 8 RAM sockets. Each RAM socket can hold 128 GB. Shouldn't the dual-socket motherboard option then support 8 TB of RAM per 2U chassis? Or are they limited to 64 GB DIMMs? I am also heard about this processor but I don't know that it can be used in the supercomputer. So good article I must say. I get much information about this processor and also its using field.